"As an Allstate Insurance Agent in the community it is my commitment to provide a safe an secure foundation for people and protect what is most valuable to them. So when I chose to venture into commercial real estate it was these very principles I sought when assembling a team to best ensure my success. 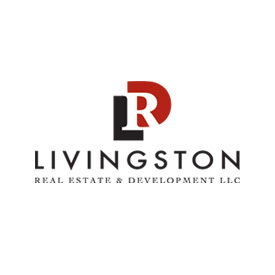 I chose Livingston Real Estate & Development and Tom Livingston. Tom had the proven experience, dedication and knowledge I was seeking to undertake two separate projects. Tom was successful in leasing one project and selling 100% of another commercial condominium project. His experience and enthusiasm brought an unparalleled level of confidence to the successful execution of both. It is through my interactions with Tom that I have grown to appreciate his unique talents and understanding of commercial brokerage. We have developed an enduring friendship and I can honestly say that, "I was in Good Hands." Northern Colorado’s commercial market is complex. Buying, selling and leasing commercial real estate here requires market knowledge, rugged persistence and bull’s-eye attention to detail. Few commercial brokerage firms can match Tom Livingston’s knowledge of the Northern Colorado market. Tom is a native of Fort Collins and graduated with a Construction Management degree from Colorado State University. His professional career spans nearly three decades, and the expertise he has gained while shaping the Northern Colorado landscape adds value beyond traditional commercial brokerage services. 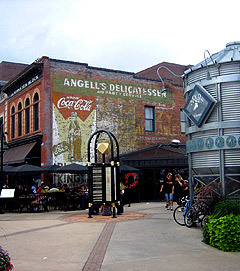 "When we needed a commercial space to lease for our cupcake bakery in Fort Collins, we called on Tom Livingston for help. Tom found us a space that included much of the kitchen equipment we needed, saving us thousands of dollars. Tom also spent time coaching us on how to run a new business. We talked a lot about what it would take to be successful. We see Tom as part of our team and a key part of the future growth of our business. " We deliver solution-focused brokerage services to property owners, tenants and real estate investors. Our services include transaction, consulting and investment advisory services supported by a hands-on approach and extensive local market expertise.